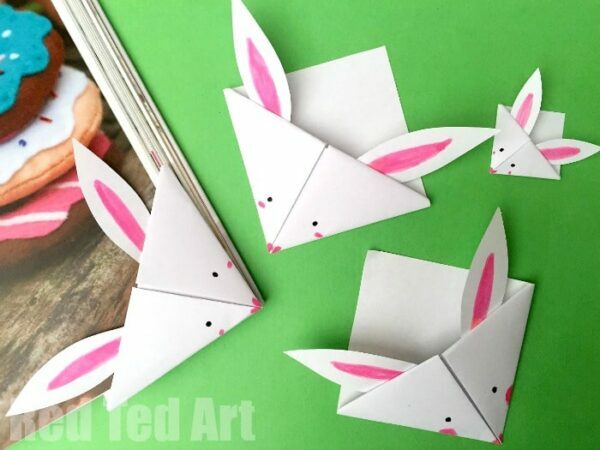 Time for an Easy Bunny Origami Bookmark!! Corner bookmarks continue to be popular in my house. Because of this we do have a Corner Bookmark Designs for all occasions. 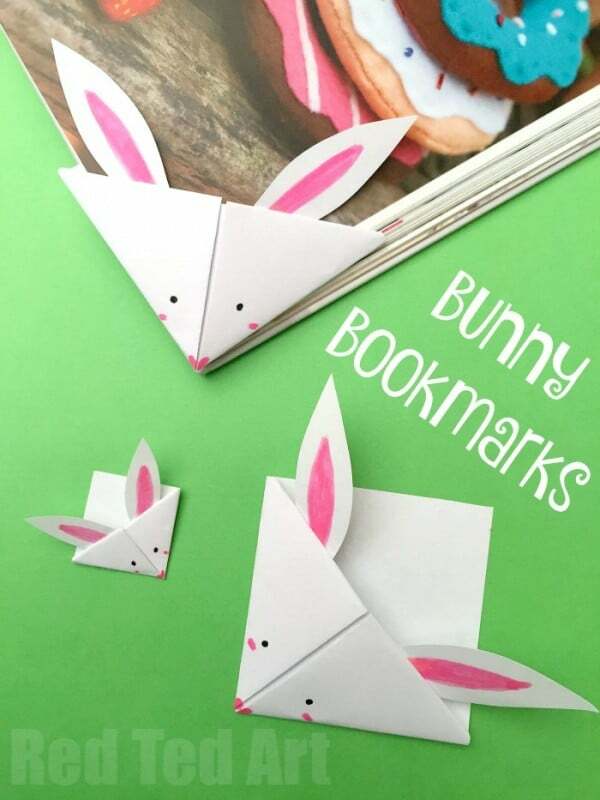 This bookmark is all about bunnies – a great addition to our darling bunny crafts for kids! Those who knows us well, know that bunnies are a huge favourite in our house, so it was only a matter of time before we got around to make a cute Bunny corner bookmark!!! 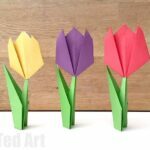 What I really love about this paper craft, is that it uses simple printer paper. Something most of us have access to. 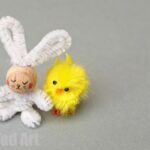 You will also love these CHICK BOOKMARKS too! Hop over and take a look! 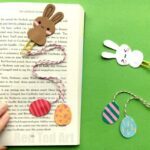 We love this paper bunny bookmark and first published it in Feb 2016 and have republished it for your convenience! 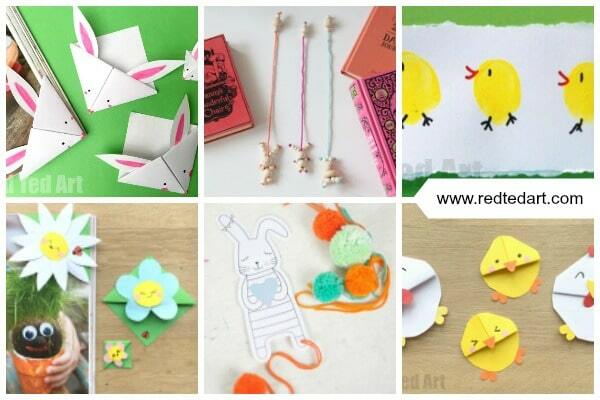 As mentioned.. these are part of our Easter Corner Bookmark (& more) collection! I think you will LOVE them all!!! 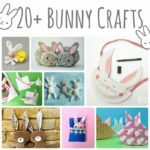 Watch our easy Paper Bunny Bookmark video today – it shows you how very quick and easy these Rabbit Corner Bookmarks are to make or check out out the Bunny Bookmark Step By Step Instructions below! If you like our videos, don’t forget to SUBSCRIBE to our YouTube channel – packed with fun and regular videos, you really don’t want to miss out, but see things FIRST! 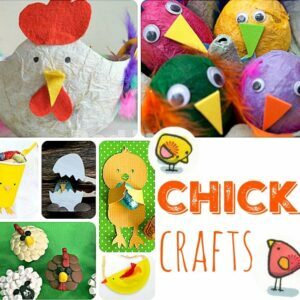 I have a large set of kids who watch the channel and it provides them a safe place to learn about crafts and be more independent… do join the crowd and down miss out on the fun. If you use the YouTube Kids App on mobile devices, your kids will be even safer! Step 1: Begin my making your very basic Origami Corner Bookmark. 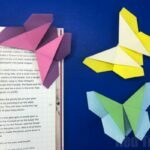 I have step by step photos and worded instructions for you on the Origami Bookmark post – you can print these off too! Step 2: using any paper cut offs – cut out two large bunny ears. 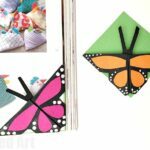 Add a little pink and glue to inside of your basic origami bookmark. Step 3: add facial details. 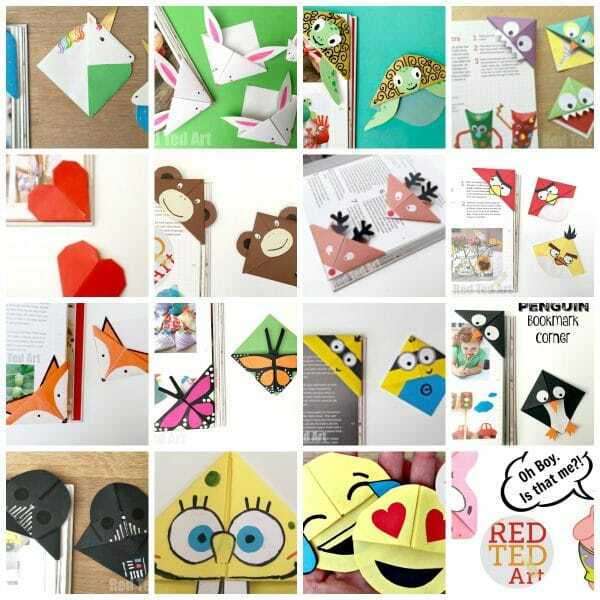 That is it.. you have made an adorable Paper Rabbit Bookmark using printer paper! Love. 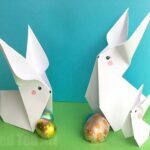 Paper Easter Crafts really are the best! What do you think? Aren’t they simply adorable? 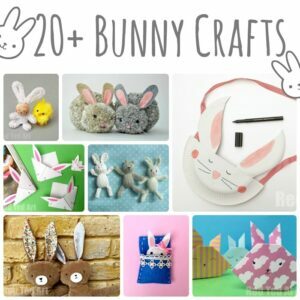 I do hope you enjoyed our little bunny craft idea and that you will be making lots and lots of these this Easter!!! 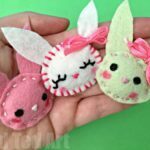 Have fun with these cute and easy paper bunny bookmarks!